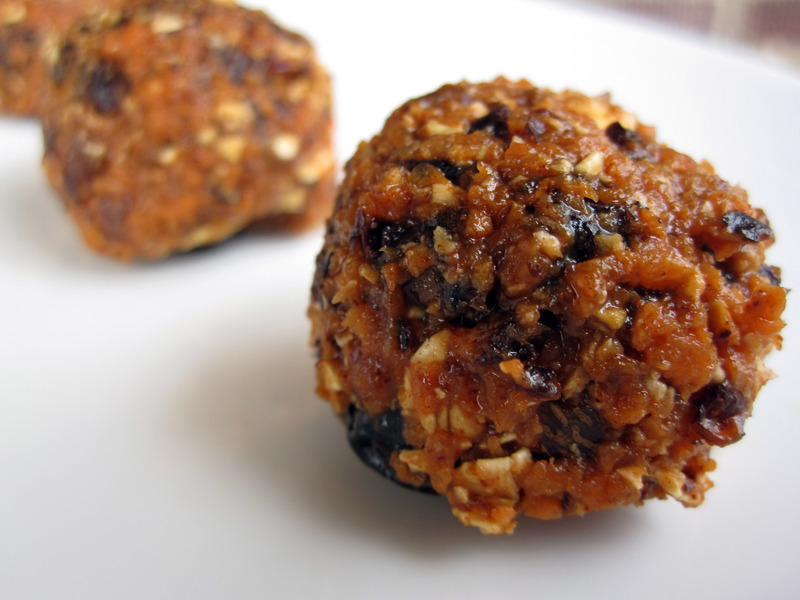 Oh what a great #SundaySupper challenge! It’s all about music as a theme, what a cool idea! I went back to the 90’s for this one with one of my favourite bands: Pop Will Eat Itself, or PWEI. I started getting into them in ’92 but this one is from a different era for them: 1987, almost a different band honestly. When I came across them they already had a bit of Industrial influence but this is super fun pop. The song is called “Sweet Sweet Pie”. It’s sweet! I’m going to be honest, I first thought “16 different flavours of hell” and then backtracked into the song. And was pleasantly surprised. So I decided I’ve been wanting to make a peach pie for a long time. The crust is a standard half shortening half margarine. The shortening gives it a bit more of a flaky crust, like lard would do in a traditional pie. The filling is dead simple. Sugar and peaches. A bit of flour to bind it all together so it doesn’t turn into a soup. It was a tiny bit liquidy because it was still warm for photos. I added a bit of spice to my first pie but it didn’t need it. Honestly in the pie I took photos of I forgot to dot it with margarine. I was more into fitting all the peaches into my shallow pie dish. It still tasted great but it’s even better with the margarine. 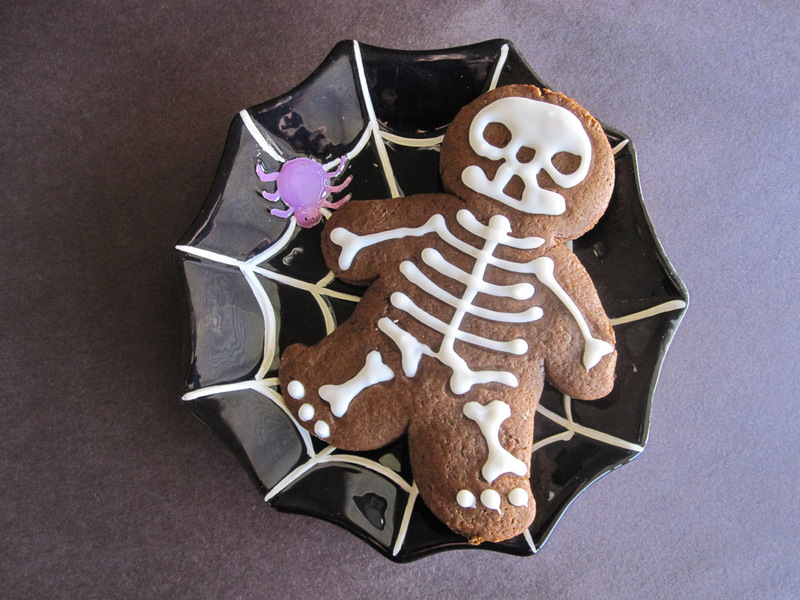 In a food processor, pulse the flour with the sugar and salt until combined. Add the margarine and shortening and pulse until the mixture resembles coarse meal. Transfer the mixture to a large bowl and sprinkle the ice water on top. Stir with a fork until a crumbly dough forms. Turn the dough out onto a work surface and knead 2 or 3 times, just until the dough comes together. Cut the dough in half and form into 2 disks; wrap in plastic and refrigerate until firm, at least 30 minutes or overnight. On a lightly floured surface, roll out each disk of dough to a 12-inch round. Ease one of the rounds into a 9-inch pie plate and transfer the other round to a baking sheet. Refrigerate the dough. Bring a large saucepan of water to a boil and fill a large bowl with ice water. Using a sharp knife, mark a shallow X in the bottom of each peach. Blanch the peaches in the boiling water for about 1 minute, until the skins begin to loosen. Using a slotted spoon, transfer the peaches to the ice water to cool. Drain and peel the peaches and cut them into 3/4-inch wedges. Transfer the peaches to a large bowl. Add the sugar, lemon juice and flour, toss well and let stand for 5 minutes. Pour the peaches and their juices into the chilled pie shell and scatter the margarine slices on top. Brush the edge of the pie shell with the non-dairy milk and lay the round of dough from the baking sheet on top. Press the edges of the pie shell together to seal and trim the overhang to a 1/2 inch. Fold the edge of the pie dough under itself and crimp decoratively. Brush non-dairy milk on the top crust and cut a few slits for venting steam. Transfer the pie to the oven and place a baking sheet in the bottom to catch any drips. Bake for 30 minutes. Reduce the oven temperature to 375°, cover the edge of the pie with foil and bake for about 40 minutes longer, until the filling is bubbling and the crust is deeply golden on the top and bottom. Fun! There’s really not much better than a fresh peach pie in the summertime…especially when served warm with a scoop of ice cream. mmmmm…. 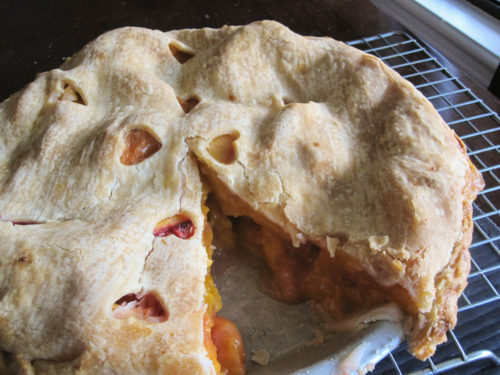 I could dive into that flaky crust and peach filling right now. Peach pie is one of our favorite summer desserts! Yours looks picture perfect!!! I want a slice of that badly, that is one fruit that when in season is so very good!! Your pie is gorgeous!! What a beautiful pie. Love the sweet little hearts 🙂 And honestly? I almost ALWAYS forget to dot margarine/butter on top of the fruit. I even have it all cut up, sitting out, just waiting to go into the pie. Then, I see it about 1 second after I finish putting the top crust on. Too late! haha. I’m with you. I’m actually impressed that I remembered on the first pie. And honestly, I just loved the fresh non-adulterated peachy flavour of the second one anyway. Such pretty pie! And that crust is so perfectly flaky that I’m totally jealous. 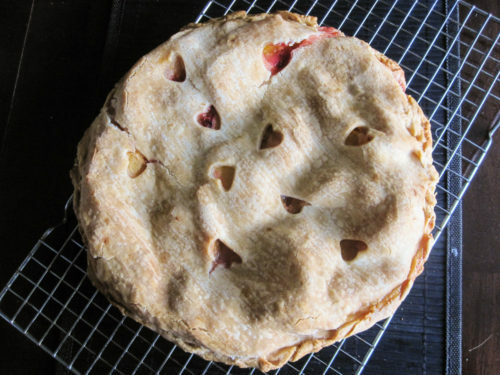 That peach pie sounds delicious and that crust is so cute with the heart cut outs. I would love a slice of this with a big scoop of vanilla ice cream. I’m not a pie girl but looking at this makes me want to change my mind on that. 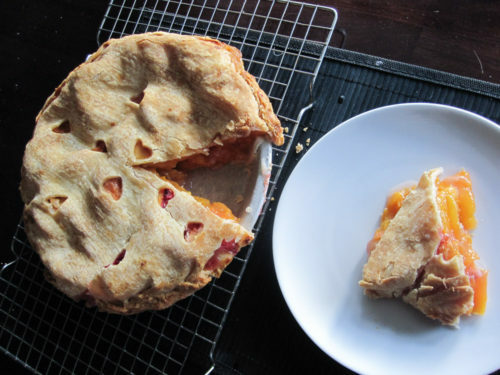 WOW, this is an amazing peach pie! 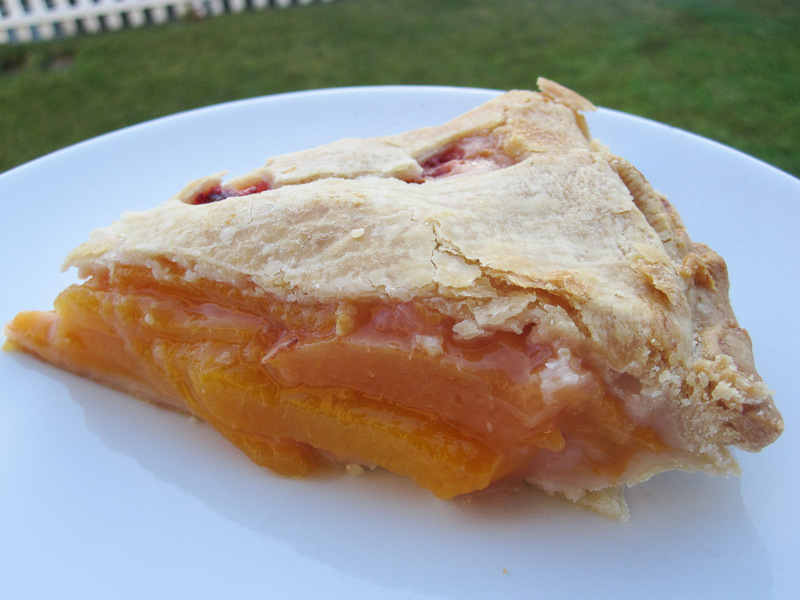 Fresh peach pie is just perfect when peaches are in season and I love your top crust! I haven’t had peach pie in ages, but you just reminded me how much I love it! 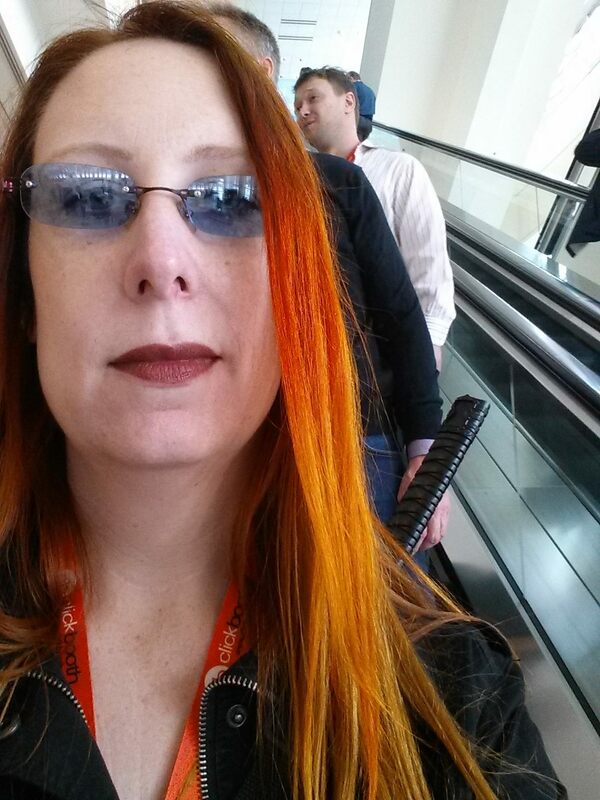 Off to find some peaches! That is one lovely looking pie! What a treat!